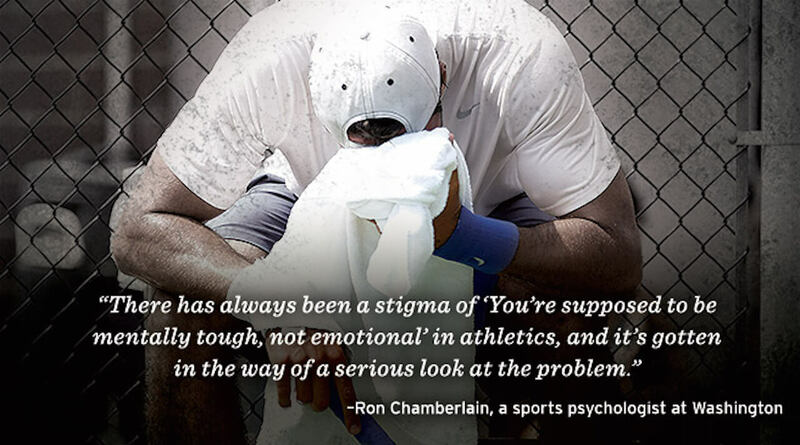 How Can We Prevent Rather Than Fix The Athlete Mental Health Epidemic? A new piece of research carried out into life after sport by the charity Mind, indicated that 50% of ex-players of the 800 who responded to the Professional Players' Federation (PPF) survey, did not feel in control of their lives within two years of finishing their careers. Although work has been done in the last few years to improve the player welfare and transition help it provides to athletes, this harrowing statistic suggests that a lot more is still to be done. A suggestion which is in fact supported by the findings from Mind’s research, where it reports that a large number of athletes interviewed said more investment is required in transition programmes and some called for the development of an independent governing body. So what is it that leads to 50% of retired athletes feeling like they aren’t in control of their lives when transitioning into retirement? Three key catalysts were identified by the research: a loss of control, a loss of identity and struggling to find a new purpose. This article will explore the first of these, with part 2 and 3 examining the other two constructs. Research in psychology tells us that the fear of losing control is a common catalyst for the onset of mental health issues such as anxiety and depression. These two conditions are the most prevalent mental health conditions suffered by the general population of the UK, and appear to be mirrored in the experience of retired athletes with 50% of ex- football, rugby, athletics and cricket players experiencing the same. Throughout the career of a professional athlete, very little is left to chance and this is largely due to the emphasis that is placed on winning. In order to give athletes the best chance of performing at their personal best when under pressure, thus increasing their chances of winning, coaches are rigorous in their approach. This includes requesting that athletes follow a daily routine. For example, a typical day for an elite athlete will involve turning up to training at a set time, being advised by a nutritionist what to eat for breakfast, lunch and dinner, and being told what time they should go to sleep to enable optimal performance the next day. In other words, their daily lives are filled with a degree of certainty and when this is taken away from them during retirement, they feel a loss of control. Like all human-beings, athletes crave certainty and when their daily lives become less certain during retirement, this creates anxiety and ultimately can lead to the onset of deeper issues such as depression. Developing athletes’ ability to recognise, understand and manage their emotions – in other words, developing their emotional intelligence (EI) can be powerfully protective of mental health. A large amount of research has been carried out exploring the relationship between EI and mental health, but one that stood out due to it’s scientific rigour and comprehensive conclusions, was carried out by Schutte and colleagues in 2007. Their meta-analytic investigation comprising 44 effect sizes and 7898 participants indicated that a significant association exists between EI and mental health. Specifically, Schutte and colleagues found that three separate, well-validated measures of emotional intelligence were significantly correlated with mental health, which leads to the comprehensive conclusion that higher emotional intelligence is associated with better mental health. Thus, these findings suggest that incorporating EI training into regular training programmes would be valuable and reduce the risk of developing mental health issues as athletes progress through their careers. And I’m not alone in advocating for the value of emotional intelligence training. After reading his insightful blog, I reached out to Marc to hear some more of his thoughts on the topic of athlete mental health. So, as governing bodies, sports associations and clubs step up their efforts to address the athlete mental health epidemic, I urge them to consider ways of preventing the onset of issues, rather than employing people to help fix already broken athletes. Part 2 of this blog series will explore the psychology behind an athlete’s loss of identity and will be published in July. If you found that the content in this article resonated with you, then I’d love to hear your thoughts on the topic of athlete mental health. Please feel free to get in touch at joe@rochemartin.com to discuss.